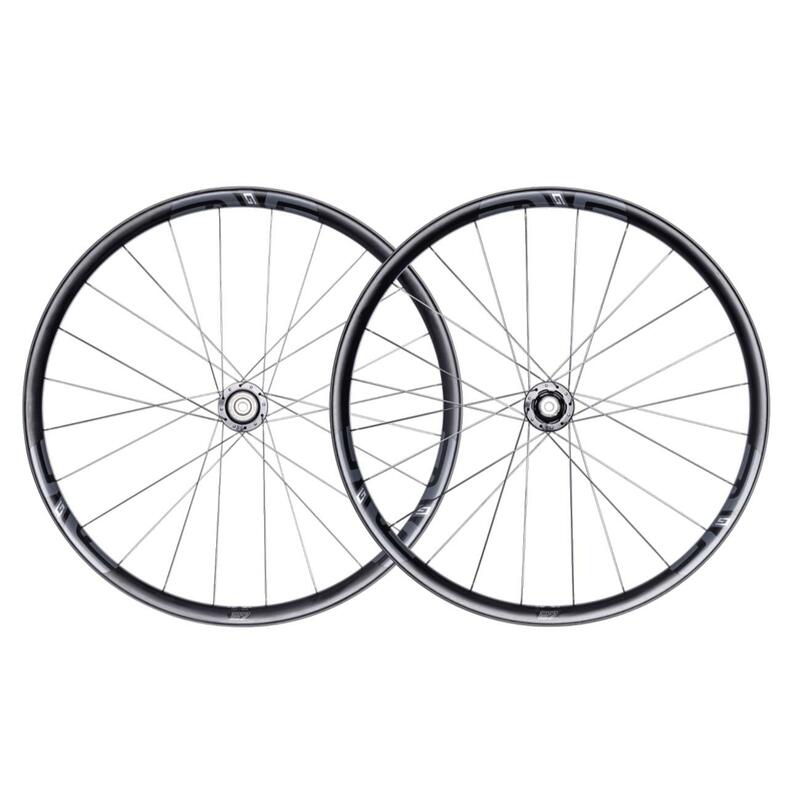 The G27 is a gravel/adventure wheelset designed specifically for disc brakes and higher volume tyres (2.0 to 2.25in width recommended). 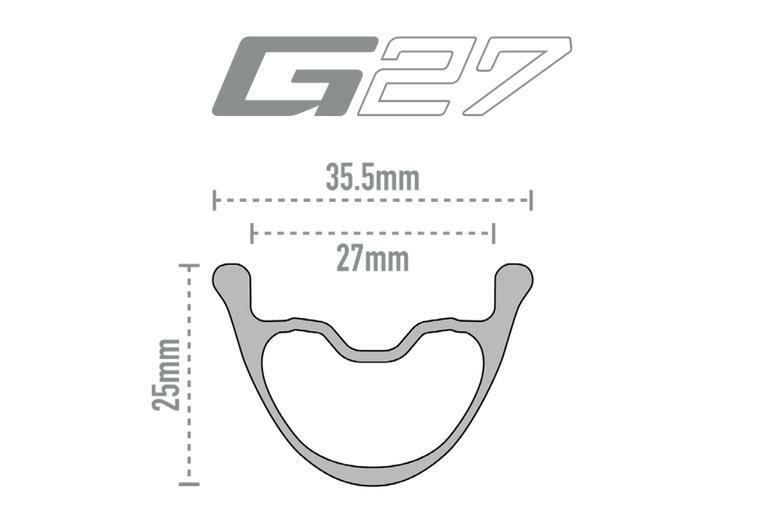 With a 27mm rim width the G27 are for tyres marked 27.5 or 650B. At just 320g per rim this is ENVE's lightest carbon clincher to date. 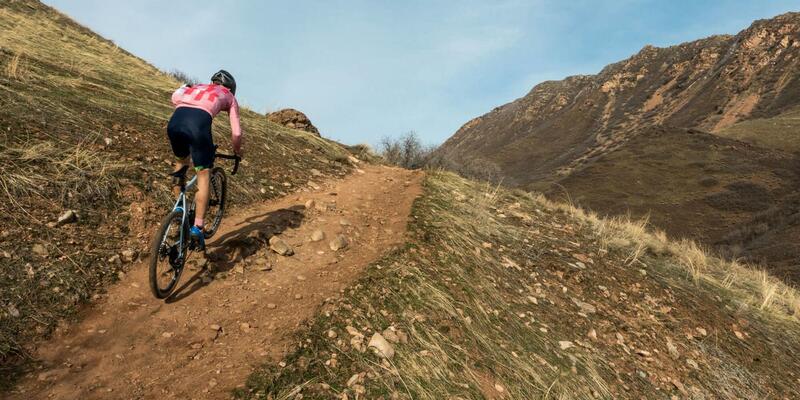 Armed against pinch flats with the patent pending Wide Hookless Bead, the G27 is optimised for use with tubeless tyres, and is equally at home off-road and capable on tamer stretches of singletrack. Accepted Tyre Sizes: 42c / 2.25"